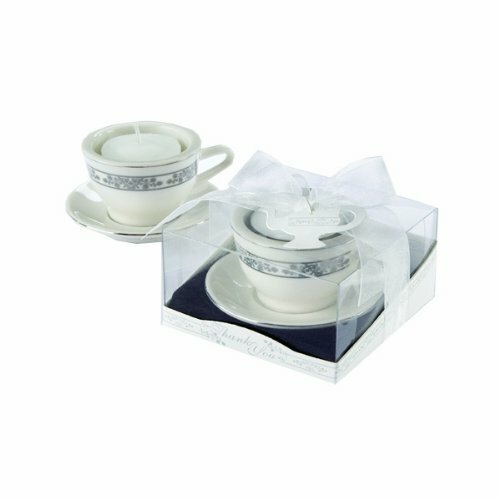 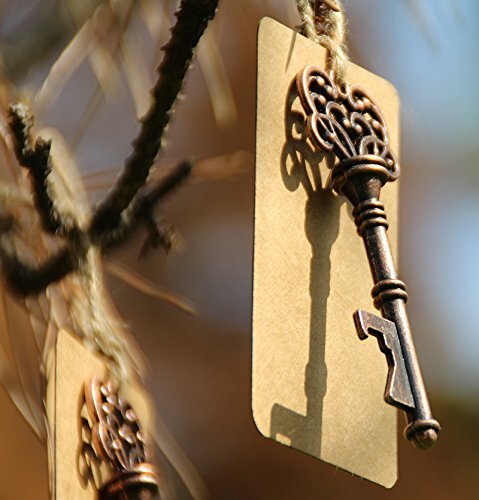 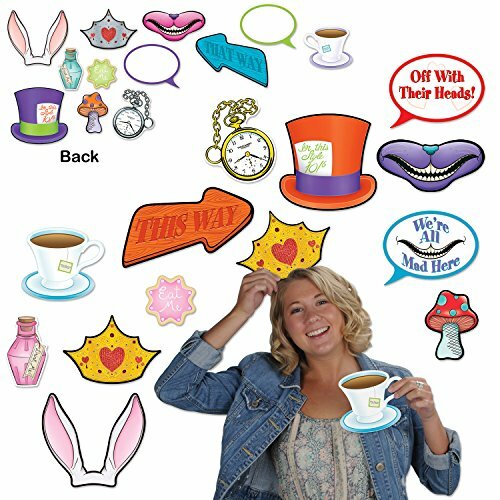 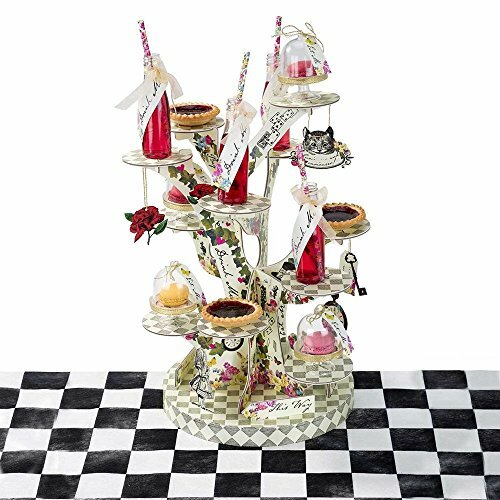 Set the scene at the party with our Mad Tea Party Scene Setters! 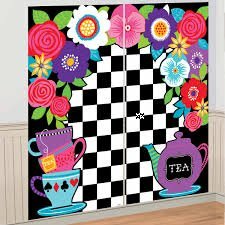 Features a black and white checkered background with colorful tea party inspired designs. 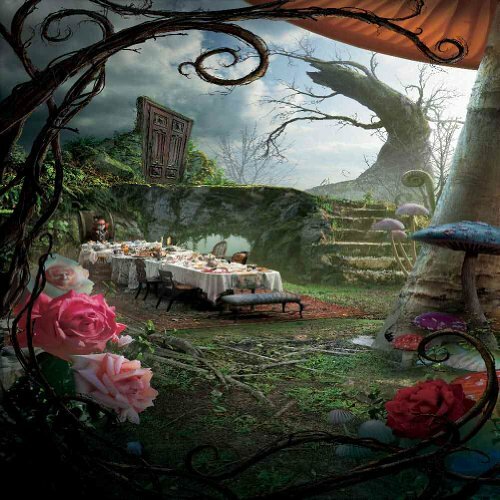 Beautiful scenic backdrop, depicting the palace and mushroom garden from Tim Burton’s Alice in Wonderland movie. 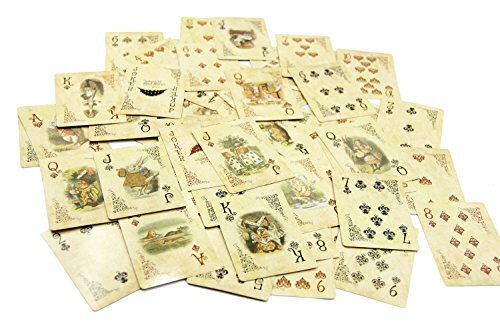 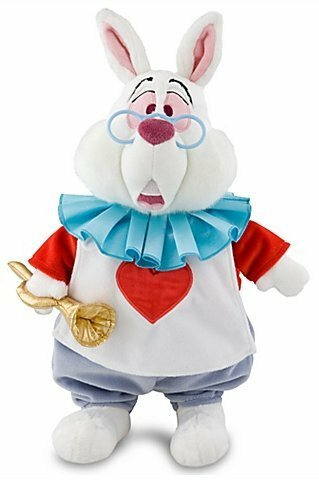 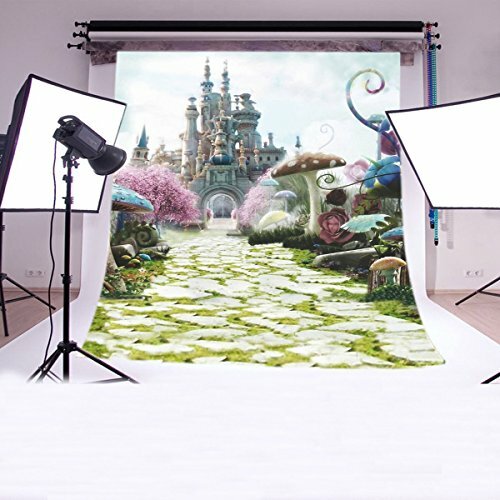 Perfect as a background for a photo shoot, but also ideal for decorating your wall during an Alice in Wonderland themed party.